Wheat starch (max. 2 mg gluten/100 g), Oligofructose, Thickening agent: guar gum, Vitamins and iron. **PHENYLKETONURIA-information: phenylalanineless than 5 mg/100 g flour mix, which corresponds to approx. 2 mg/100 g finished bread. This is a perfect gluten free base flour for those who want or need to avoid milk. 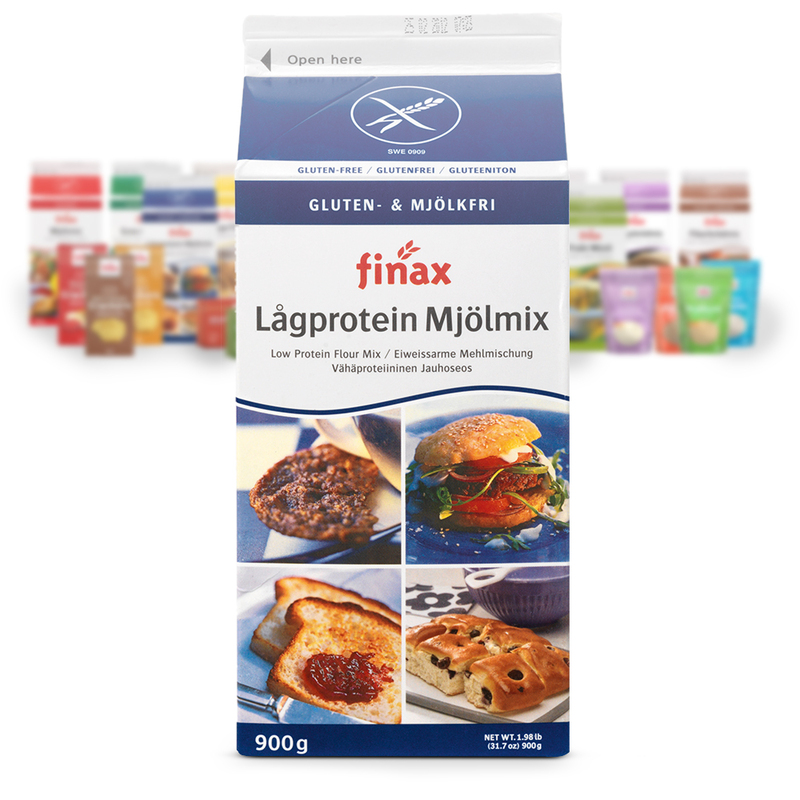 Lågprotein mjölmix is also unsweetened and therefore can be used in cooking as well as for baking. As the protein content is low the crust of the baked bread will have a lighter color tone, but if you wish for a more golden colored crust you can use a brush to spread sugared water over the bread’s surface towards the end of the oven baking. With its low protein content this flour mix is well suited for those with decreased kidney function of for sufferers of Phenylketonuria (PKU). Lågprotein mjölmix, which is also enriched with added Vitamin B and iron, can be used as a regular wheat flour while adjusting your recipe to get the right amount of flour mix.